Dating back to the 12th century, Halifax has a rich industrial heritage focused around the wool, carpet and machine tooling industry. In contrast to this industrial past however, modern day Halifax is a diverse and vibrant town which is rapidly expanding seek to capitalise on the more affordable property on offer throughout the region. 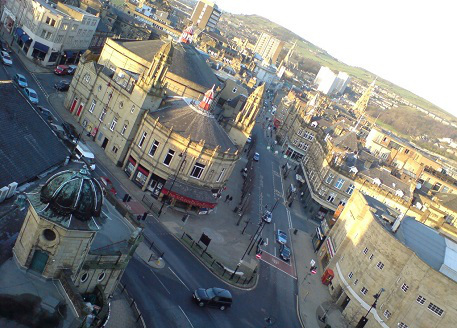 In more recent times, Halifax has found itself the home of a number of leading financial institutions including the Yorkshire Bank as well as the Halifax, one of the UK's leading banks and mortgage providers. For investors however, Halifax offers a significant opportunity through the higher number of residents currently living in privately rented accommodation. Typical of many northern towns, increasing numbers of residents of Halifax and its surrounding suburbs are seeking affordable accommodation within the region, and it is currently estimated that Halifax is experiencing growth in excess of 860 household every year. We now offer a growing portfolio of buy-to-let properties for sale in Halifax and the surrounding areas, including the new Home Court development in the Mixenden area of Halifax. If you would like further information on the new Home Court development, please contact us today for your free online information pack.